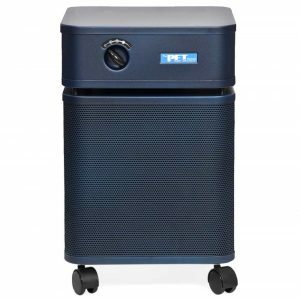 I chose the healthmate 410s air purifier because it’s made by a fairly well known company in the field of air purification (Austin Air) who commends its impressive ability to help pet owners avoid odors and allergies. 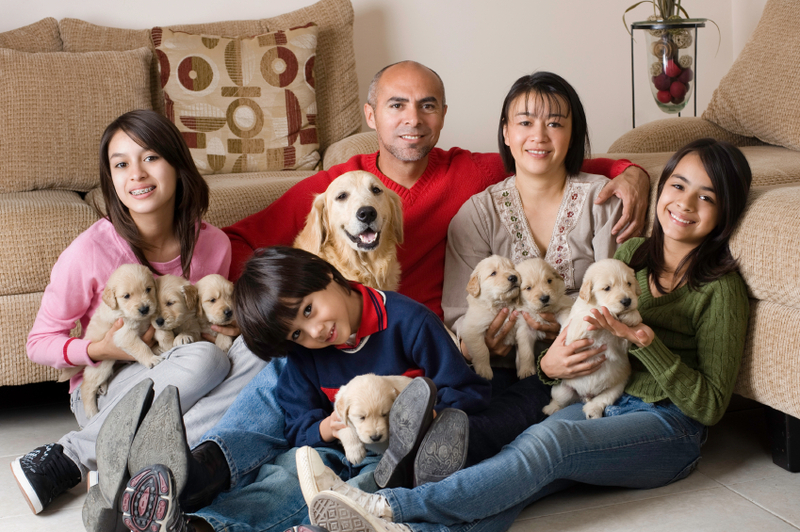 If you’re thinking of buying a pet and even if you know you’re not allergic – it’s still a good idea to research pet-oriented purifiers. Friends and relatives might be allergic to cats and dogs but also, animals in your home can whip up a lot of harmful particulate into the air. This unit comes with a 4-stage filtration system. It also services rather large areas up to 1,500 square feet. I was a bit put off by the design of the air purifier. But since it’s not the most important feature in such units, I decided to review it anyway. 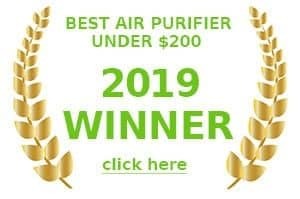 Let’s take a close look at whether this air purifier is worth the money the manufacturer is asking for it. Pet dander, odor, and hair are hard to deal with. So in order to do a good job, an air purifier must have a superb filtration system. Even though this unit has four filters, they don’t seem to be much different from what the other air purifiers offer. Large particle Permafilt Pre-Filter – This filter catches large particles, hair, dust, lint, etc. It helps the main filter work longer. This filter doesn’t need to be replaced too often. All you have to do is vacuum it on a monthly basis (or more frequently depending on how heavily you use the unit). However, annual replacement is recommended. The price tag is around $40. Medium Particle Pre-Filter – One more pre-filter works on the particles, which its Permafilt friend failed to catch. This particular filter needs to be replaced once a year. I haven’t found a place where it would be sold separately. 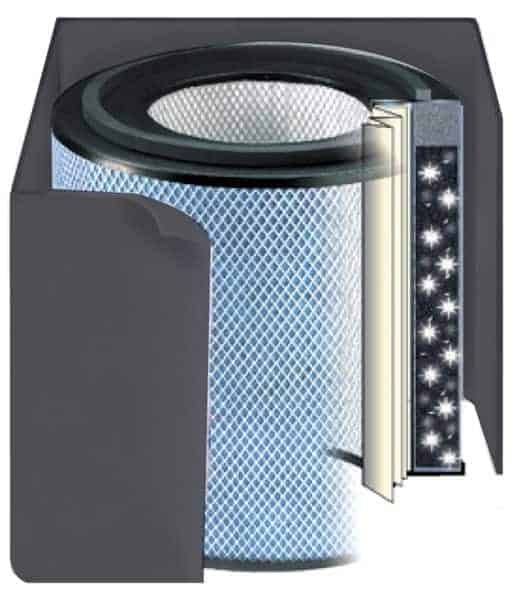 Proprietary Carbon/Zeolite Blend filter – This filter takes care of the pet odors. It needs to be replaced about once a year. Not sold separately. TrueHEPA filter – This medical-grade HEPA filter takes care of 99.97% of particles 0.3 microns in size. It also removes 95% of particles 0.1 in size. The last three filters are not sold separately. But they come in a convenient pack with an astonishing price tag of about $300. When we add $40 for the large particle filter, we get $340 yearly maintenance expense, which is excessively high for this kind of purifier. Austin Air offers some deals for its customers to help cut the filter expenses. But they work only for the first 5 years after the purchase and decrease after each year of use. Actually, the manufacturer claims that the filters can last for 5 years without replacement, but since I know a lot about filters, I think I am qualified enough to say that it’s not true. If you want proper results, you need to replace these filters on a yearly basis. There aren’t any filter replacement indicators, so it’s up to the owner to remember when the filters need to be changed. When it comes to the design, I think Austin Air didn’t do too good of a job. This large boxy unit looks like it was designed in the 1980’s and hasn’t been updated since. The manual controller on the front makes looks and feels cheap and clunky. I guess others may have a different opinion – but you should note that it’s rather big and heavy too. The sizes are 14.5 x 14.5 x 23 inches. The air purifier weighs 45 pounds, making it rather hard to move between floors. Thankfully, it has caster wheels, so you don’t need to lift it. The air purifier comes in five colors: black, silver, sandstone, midnight blue, and white. I think the midnight blue model looks the best. The air purifier is easy to use. You just plug it in, choose the fan speed, and let it do its job. You have to be careful not to place the unit against the wall since it has 360° air circulation system. Ideally, the unit should be placed in the middle of the room. But I doubt it’s a possibility in most households. This one came as a surprise to me. This air purifier doesn’t have any smart options. Zero. Zilch. Nada. No sensors, no indication lights, nothing. For the air purifier, which comes with such a crazy price tag, the absence of smart options is surprising, to say the least. Nowadays, we are used to smart devices giving us a variety of information. So I view the lack of smart options as a downside. On the other hand, this type of equipment usually lasts longer because there isn’t anything there to break down. This means that at its highest speed the air purifier is louder than a humidifier purifier, which is ok. In most households, the highest speed is rarely needed. However, the low speed is not quiet at all. 50dB is comparable to a quiet conversation. Meaning, if you are a light sleeper like me, you won’t be able to use this air purifier in your bedroom. So I concur, it’s a loud air purifier. 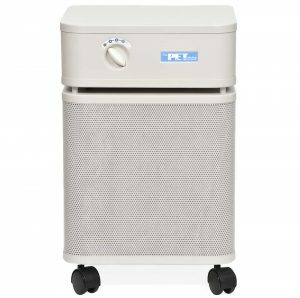 The manufacturer claims that the air purifier can service an area of up to 1,500 square feet. Unfortunately, I was unable to find CADR ratings for this particular model. I believe this model just hasn’t been tested for CADR numbers. Perhaps the air purifier doesn’t have an AHAM seal at all. This air purifier has one of the most formidable warranties I’ve ever seen. 5-Year Mechanical Warranty – The manufacturer offers a 5-year mechanical warranty. Meaning if you use the air purifier according to the instructions and some part breaks down, you can get it fixed for free. 5-Year Filter Warranty – The manufacturer claims that the filter should last for 5 years and if it doesn’t, Austin Air offers a discount system for each year. As I mentioned before, no one invented a trueHEPA filter yet, which can last for 5 years, so be ready to take advantage of the discounts. 30-day Satisfaction Guarantee Warranty – If you are not happy with the air purifier, you can return it within 30 days for a full refund. After spending many hours reviewing this incarnation of the Austin Air Healthmate, unfortunately, I can’t recommend it. Even though it does a good job filtering the air, you can find better and less expensive models, which do the same. This air purifier has a bulky build, high price tag, no smart options, and expensive filter replacement. I would recommend checking out other options like the Rabbit Air minus A2 . Whilst the Austin Air Healthmate 410s does a good job of air purification, it simply doesn’t do enough to justify the large price tag. Especially when the replaceable filters cost so much too.